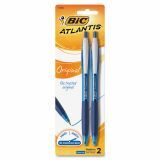 BIC Atlantis Retractable Ballpoint Pens - High comfort ballpoint pens deliver super-smooth writing and contain quality ink. Long-lasting ink supply lasts up to 2 kilometers writing length. The super smooth ink lets ideas flow freely and precisely with a medium point (1.0mm with a 0.4mm line width). 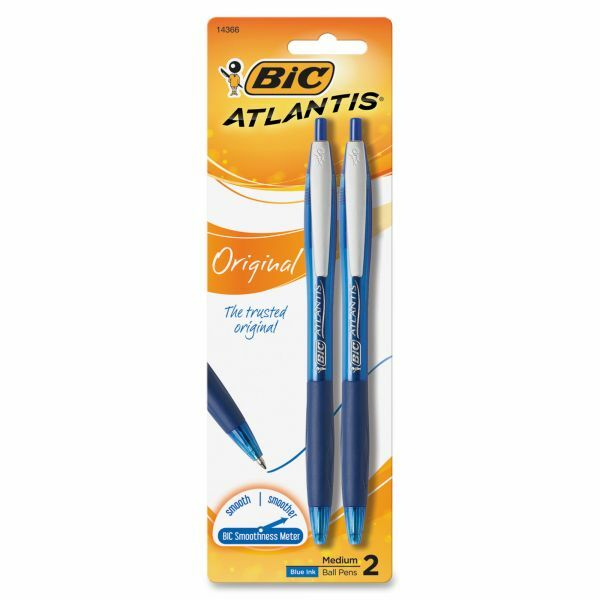 The Atlantis Retractable Ball Pen features a nickel silver point for a consistent application of ink. Grip and clip color match ink color. Barrel includes soft, contoured grip and quiet click actuator. 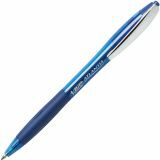 Refillable ballpoint pens also feature a handy clip to attach pens to notebooks, pockets and more.